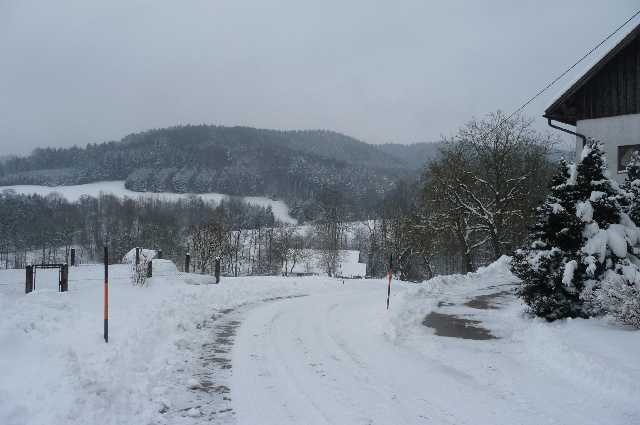 The World Sustainable Energy Days (WSED) conference is held each year in Upper Austria, attracting experts in renewable energy from all over the world. In recent years the conference has drawn participants from over 100 countries to take part in the conference’s significant contribution to raising awareness of renewable energy and energy efficiency. The organisers are encouraging all those who are interested or involved in projects and programs that utilise sustainable energy technologies to attend, particularly local government staff, managers and councillors wanting to learn more about cutting edge developments in renewables. Andrew Lang, of SMARTimbers Cooperative and the Australasian-Oceania representative on the World Bioenergy Association, attended the WSED conference in 2013 and reports on some aspects of the conference below. 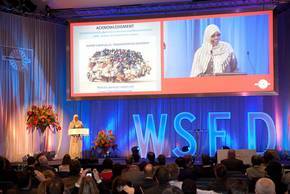 The WSED conference is held in the small city of Wels, about 20 minutes by train from Linz, the state capital of Upper Austria. The organising body of the conference is the Energy Agency of Upper Austria, and Rudi Anshober, state Energy Minister and leader of the Greens party, plays a significant role in the event. Three Australians attended the 2013 conference – myself, speaking on the potential for biomass exports from Australasia, Councillor Sebastian Klein from Hepburn Shire with a poster on potential for bioenergy development in that Shire, and an academic from Charles Darwin University, Darwin. The WSED conference is clearly of interest to local government in Australia, with its focus on energy efficient buildings (passive/solar design for new ones or retrofitting older ones), conversion to heating with available biomass, or examining the potential for combining the move to a greater use of renewable energy with a regional stimulus of clean tech industries. One excellent feature of the WSED conference is the thoughtful design of the day program and evening events that encourages interaction and gives people the opportunity to meet other participants from all parts of the world. At the 2103 conference there were people from about 60 countries with 20 or more languages spoken; male and female, young and old, and with a range of interests in building design, lighting, energy research, pellet production and heating systems. I would encourage those involved in research into and the application of renewable energy in Australia to attend the WSED conference in 2014, particularly as a number of European countries, including Austria, are now leading the world in switching to a future based in sustainable energy. The small city of Wels in Austria is a great location for the conference. First settled by the Romans, Wels boasts buildings that date back to the 1200s and has most of the original city wall still remaining. 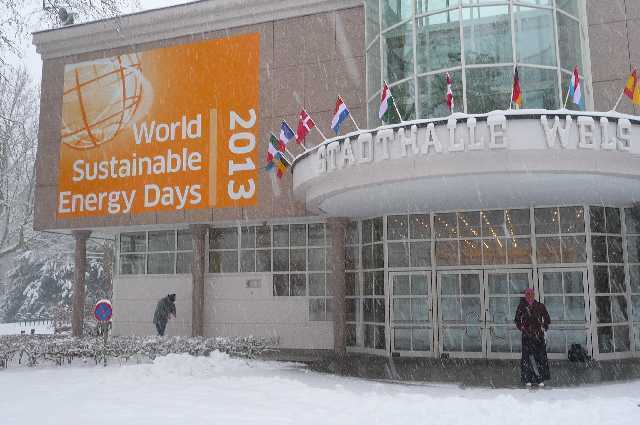 More information on registering for or making a submission to the 2014 World Sustainable Energy Days conference can be found here.